On Thursday, March 21, join Darren Ambrose, Andy Beckett, Tariq Goddard, and Lynsey Hanley at Foyles to discuss and celebrate the work of Mark Fisher. When we lost Mark Fisher in 2017, we lost one of our most exciting and vital critics of contemporary politics and culture. Providing lucid and excoriating critiques on subjects ranging from Dido to Drake; The Fall to James Blake; Breaking Bad to Benefits Street, he was moved by the emancipatory potentialities of popular culture. In publishing, he worked to spread radical ideas and provide a generation of new writers with a platform. Blogging as ‘k-punk’, he analysed everyday experiences of precarity, depression, and cultural malaise as profoundly political — and therefore changeable. Mark tirelessly sought alternatives to the world that we’ve been given, away from the destructive individualism of the present and towards a practical communitarian future. Andy Beckett writes for the Guardian. He has also written for the Economist, the New York Times magazine, the London Review of Books and the Independent on Sunday. He is the author of When the Lights Went Out, Pinochet in Piccadilly (Faber), and Promised You A Miracle (Penguin). Tariq Goddard is an award-winning novelist and was a co-founder, with Mark Fisher, of Repeater Books. His most recent novel is Nature and Necessity (Repeater). Lynsey Hanley is a freelance writer and the author of Estates: an Intimate History (Granta) and Respectable: Crossing the Class Divide (Penguin). Darren Ambrose is a freelance writer and editor from the north east of England. 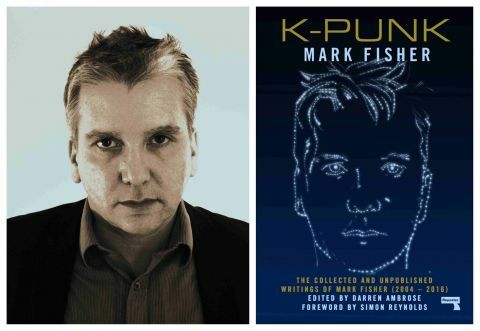 He edited K-PUNK: The Collected and Unpublished Writings of Mark Fisher (2004–2016) (Repeater).